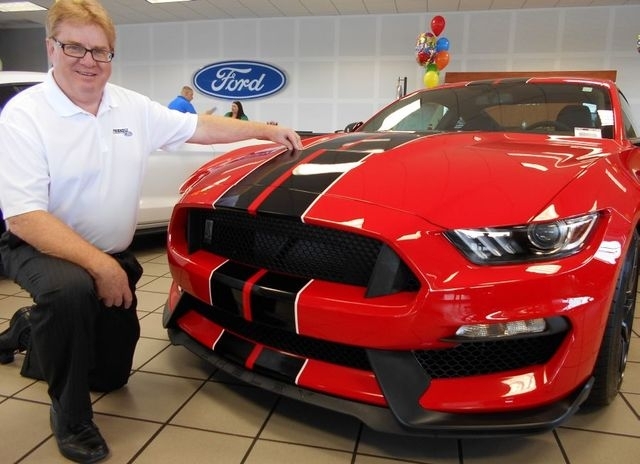 Keith Morgan has been for Ford dealerships for 24 years. Now the controller for Friendly Ford, he is a dyed-in-the-wool believer in the company and the product. COURTESY Friendly Ford Controller Keith Morgan has worked with Ford dealerships for 24 years. However, there’s more to the success of Ford. “One very important factor is that Friendly Ford is still family-owned,” explained Morgan. “Then, too, the fact that Ford Motor Co. didn’t take the bailout money when the market crashed in 2008-2009 is yet another factor in the continued success of the company. A recent transplant of the Bay Area, Morgan is big on the economy in Southern Nevada. The fact that Friendly Ford has been under the same ownership at the same location for 46 years is yet another fascinating part of the dealership’s success. Financing and rebate programs for customers continue to be yet another reason for success at Friendly Ford. Situated at 660 N. Decatur Blvd., Friendly Ford is one of the oldest new vehicle dealerships in Southern Nevada. The dealership opened in 1970. Further information can be found by calling 702-870-7221 or by visiting www.friendlyfordlv.com.